What are the advantages of Unified Communications? Arkadin will deploy, manage and monitor your gateway solution. With Bluejeans gateway for Microsoft Teams, you can provide a consistent experience for your end users-regardless of room system hardware. Interoperate with your H.323 or SIP room system so you can make the most of investments you’ve already made with vendors like Polycom, Cisco, and LifeSize. With a track record of 1 billion cloud-connected room system minutes supporting over 19,000 different room systems (vendor, model, and software), the BlueJeans commitment to interoperability means that you can commit to Teams without replacing your existing room systems. Video conferencing that allows anyone to join. Whatever technology, whatever the vendor or whatever the location. 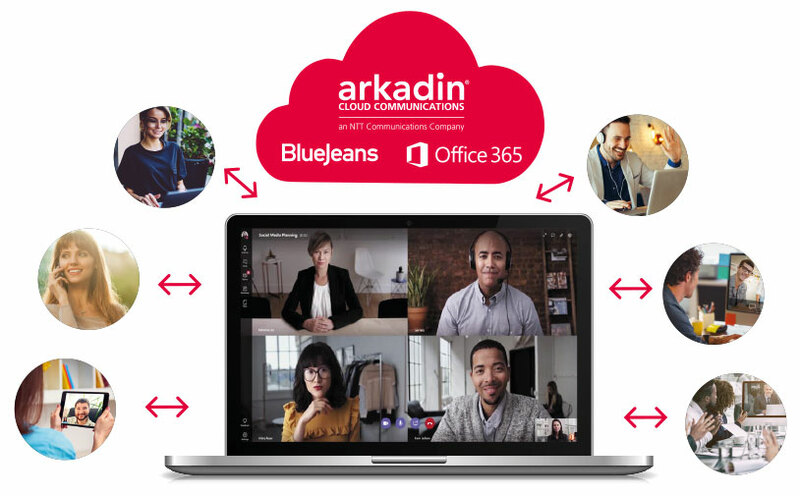 Arkadin complements the Microsoft Teams experience with global calling plans. Our Cloud Transformation Services and Change Management approach ensures higher user adoption. Our expert monitoring and management services ensures the quality of experience users expect with the combined strength of Microsoft and Arkadin. How many participants can join the call in maximum? How to cancel or modify a meeting scheduled and participants list ? If I forgot my PIN code, what should I do? Where can I confirm the international calling number?